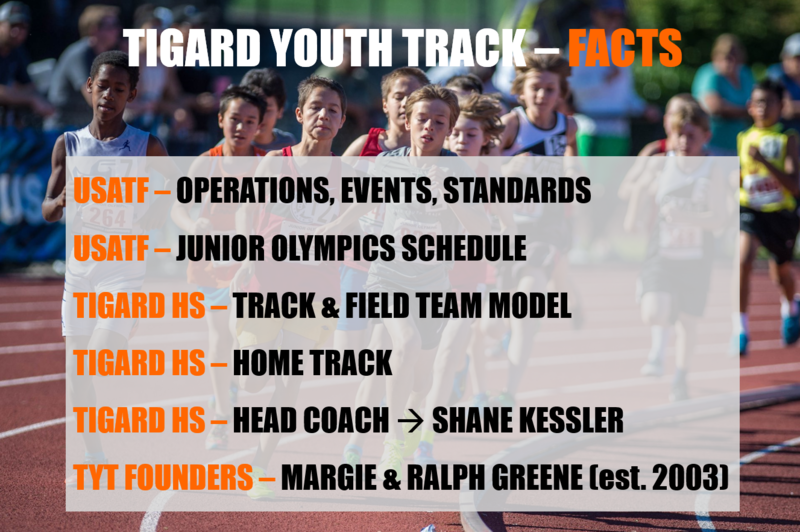 Welcome to Tigard Youth Track! To inspire, educate and motivate Tigard's young athletes of all levels through competitive track & field. 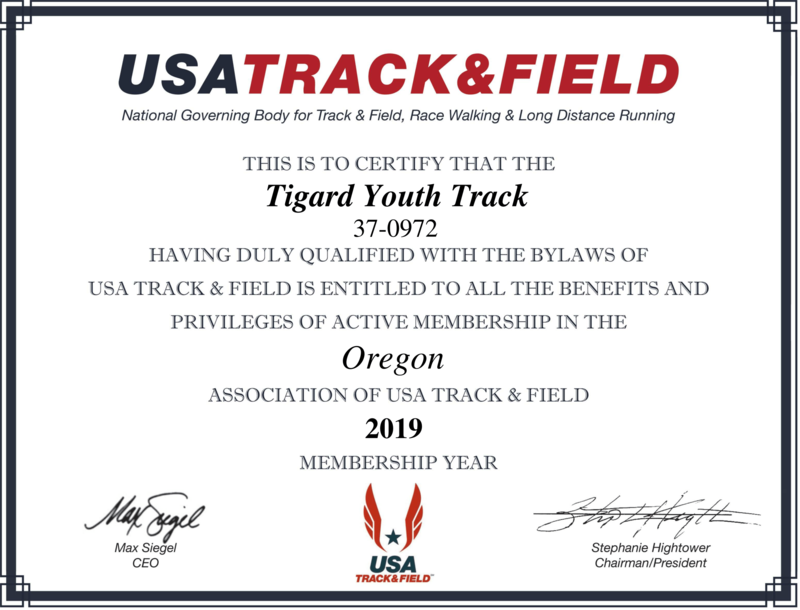 Tigard Youth Track's purpose is to give youth in the community the opportunity to train and compete as part of the experience of Track & Field, in order to promote the ideals of: Teamwork, Good Sportsmanship, Good Citizenship, and Honorable Character.